Cotabato, formerly but colloquially known as North Cotabato (Hiligaynon: Amihanon nga Kotabato; Cebuano: Amihanang Kotabato; Maguindanaoan: Kuta Wato Nort), is a landlocked province in the Philippines located in the SOCCSKSARGEN region in Mindanao. Its capital is Kidapawan City. Cotabato derives its name from the Maguindanao word kuta wato (from Malay - "Kota Batu"), meaning "stone fort", referring to the stone fort which served as the seat of Sultan Muhammad Kudarat in what is now Cotabato City (which the province derives its name from). Islam was introduced in this part of the country in the later part of 15th century by Sharif Mohammed Kabungsuwan, an Arabo-Malay Muslim warrior-missionary. Sharif Kabungsuwan invaded Malabang in 1475, facing armed resistance from the non-Muslim natives, nevertheless successfully vanquishing and subjugating them to his (Islamic) rule through the might of his Samal warriors. Modern historians have pointed to the Cotabato delta as the medieval location of Toupo, the successor of the Maguindanao/Cotabato Sultanate. Christianity was introduced in 1596, but the Spaniards were unable to penetrate into the region until the second half of the 19th century. 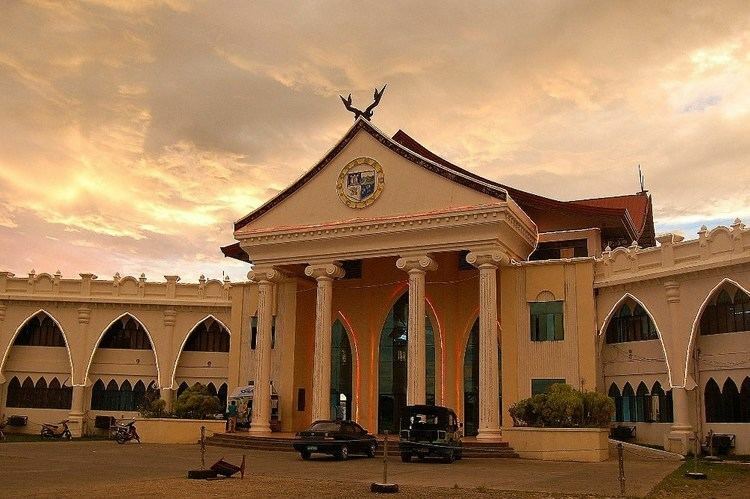 The district of Cotabato was formed in 1860, covering the areas of what is now Cotabato, Maguindanao and Sultan Kudarat provinces with its capital at Tamontaka. Fort Pikit was established by the Spaniards in 1893 as they continued their conquest of the remnants of Maguindanao Sultanate, which would soon be the site of one of the province's oldest towns, Pikit. 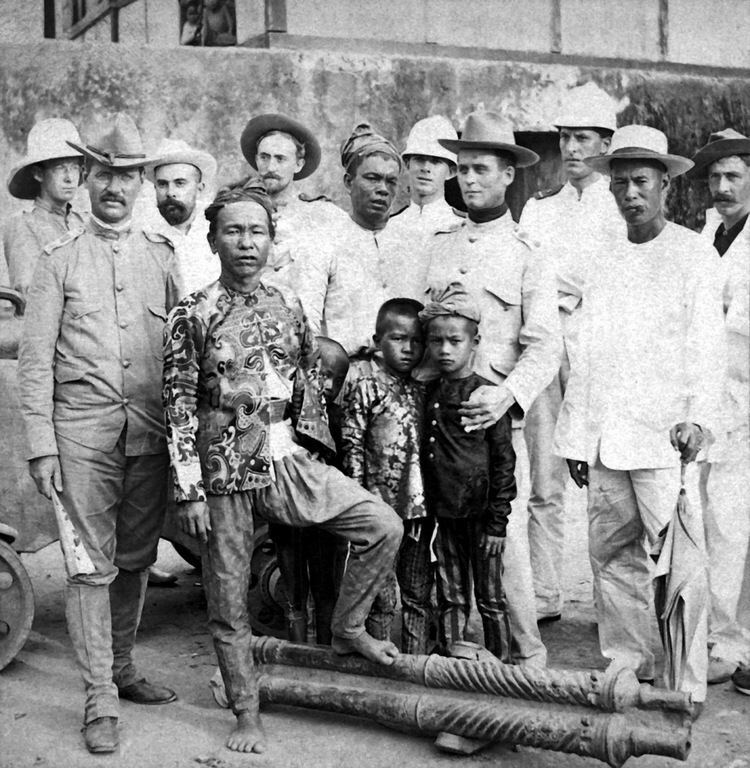 The coming of the Americans ushered in the creation of the Moro Province on July 15, 1903, through Act No. 787 of the Philippine Commission. Cotabato, covering what are now the provinces of Cotabato, Maguindanao, Sultan Kudarat, South Cotabato and Sarangani, became a district of the huge Moro province. During the American period, large companies were established in Cotabato to exploit the vast timber resources of the region. 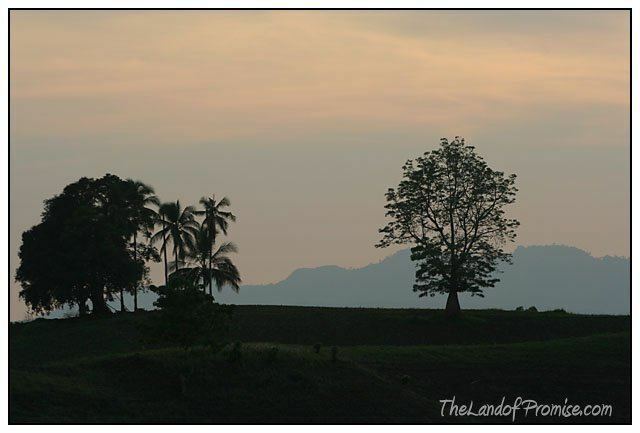 By the 1930s, settlers from Luzon and Visayas established homesteads in Cotabato. In December 1941, Japanese planes bombed and invaded in Cotabato. In 1942, Cotabato was occupied by the Japanese Imperial forces. The establishment of the military general headquarters of the Philippine Commonwealth Army was active on January 3, 1942 to June 30, 1946 and the Philippine Constabulary 10th Constabulary Regiment was active again on October 28, 1944 to June 30, 1946 and military stationed on Cotabato. Moro guerrilla fighters invaded around the province of Cotabato and help them of all local force of the Philippine Commonwealth Army and pre-war Philippine Constabulary 10th Constabulary Regiments by fought against the Imperial Japanese Army until 1944, the Moro guerrillas was retreating Japanese troops before liberated. In 1945, Cotabato was recaptured from the Japanese Imperial forces by the combined Filipino and American troops together with the recognized Moro guerrilla units. The guerrillas used the traditional Moro Kampilan, Barong and Kris swords. The pace of settlement in the region accelerated in the 1950s and 1960s. The former province of Cotabato was once the largest in the Philippines. In 1966, South Cotabato was created as a separate province. In 1992, the province of Sarangani was formed out of South Cotabato. On November 22, 1973, through Presidential Decree No. 341, what remained of the old Cotabato was further divided into the provinces of North Cotabato, Maguindanao, and Sultan Kudarat. North Cotabato was later renamed Cotabato through Batas Pambansa Blg. 660 approved on March 7, 1984. 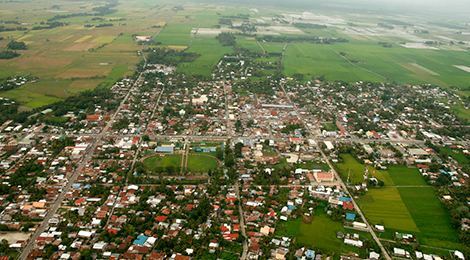 Cotabato now comprises the capital city of Kidapawan, 17 municipalities, and 543 barangays. The province currently has three congressional districts. Cotabato covers a total area of 9,008.90 square kilometres (3,478.36 sq mi) occupying the northeastern tip of Region XII and is centrally located in Mindanao. It is bounded on the north by the provinces of Lanao del Sur and Bukidnon, on the east by Davao City and Davao del Norte, on the west by Maguindanao and on the southeast by Sultan Kudarat and Davao del Sur. Cotabato is strategically linked to the major "Arterial Road System" that traverses and connects the province to Davao City - SOCCSKSARGEN - Cotabato Corridor. The Cotabato via Kabacan - Maramag - Kibawe, Bukidnon Sayre Highway meanwhile serves as its link to the Cagayan de Oro-Iligan City Corridor. Cotabato stretches from the east at Mount Apo, which separates it from Davao, to the Piapayungan Range on its boundary with Lanao in the west. 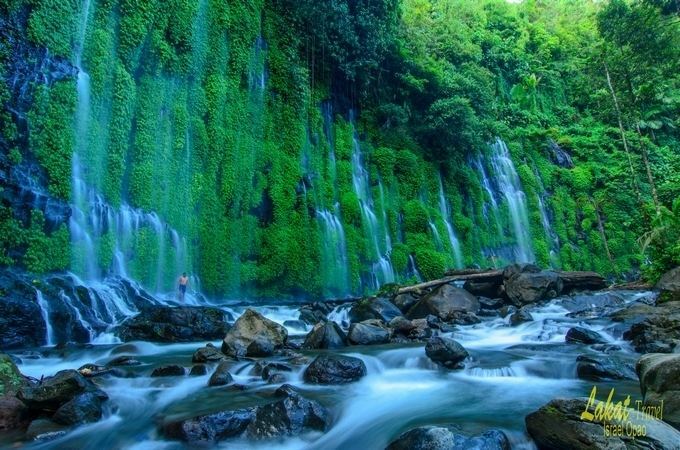 Between these highlands is the basin of the Pulangi River or Rio Grande de Mindanao, the second longest in the Philippines at 373 kilometres (232 mi), which rises in Bukidnon and flows south to Maguindanao and Illana Bay. The province’s fertile plains are traversed by tributaries of this great river. Typhoons do not pass through Cotabato and rainfall is evenly distributed throughout the year. Cotabato comprises 17 municipalities and one city. During the 2001 Referendum for inclusion to the Autonomous Region in Muslin Mindanao, two (2) out of twenty-eight (28) barangays of Carmen, Cotabato chose to be part of ARMM, but were excluded because they are not connected to the main region of ARMM. During 2010-2016 Administration, the Bangsamoro ideal sprouted and a newly proposed region was in the making. According to the agreements signed by the Moro Islamic Liberation Front and the Administration of Noynoy Aquino, Carmen will be included in Bangsamoro because of the two out of twenty-eight barangays that voted in favor of joining the Muslim region back in 2001. Unfortunately, Bangsamoro was not implemented before the term of Aquino ended. Despite this, the current administration aims to establish a Federal Government, where Bangamoro will be realized into a State of the Philippines wherein Carmen will be included in Bangsamoro. Plans to establish a new municipality in the south of Carmen so that the indigenous and Christian central and northern part of Carmen will be retained in North Cotabato has yet to be confirmed. The idea arose because once the entire municipality of Carmen is included in Bangsamoro, the province of North Cotabato will be cut into half, leaving three towns (Banisilan, Alamada, and Libungan) at its west without connection to the center of North Cotabato, isolating these towns in the process. Based on the 2015 census, Cotabato has an overall population of 1,379,747. The average population growth rate was 2.27% in the period 2010-2015, which is higher than the national average of 1.72%. The province had a density of 150 inhabitants per square kilometre or 390 inhabitants per square mile. Cotabato is a melting pot of people. The first Visayan settlers reached the town of Pikit in 1913, and since then, Christian migrants have moved and lived in Cotabato, cohabitating the province with the local indigenous groups. 71% of Cotabato’s population are migrants from Visayas and Luzon, while the remaining 18% belong to the tribal communities of Manobo, T'boli and Maguindanao. The major languages spoken are Hiligaynon (46%), Maguindanao (38%), Cebuano (8%), and Ilocano (4%). Contrary to the belief of some Filipinos, Cotabato is actually a predominantly Roman Catholic province with 49.56% adherence (due to many decades of immigration from Visayas and Luzon) while Islam is 46.23% and is mainly practiced by the Maguindanaons. The minority remainders are divided among some Protestant Christians. Cotabato is considered as Mindanao’s food basket. It is a major producer of cereals, tropical fruits, vegetables, sugarcane, coconut, coffee, freshwater fish and livestock. It is also one of the country’s leading producers of raw and semi-processed rubber and industrial trees, with markets in Asia and Europe. Among its major natural assets are Mt. Apo, the country’s highest peak at 9,692 feet (2,954 m) above sea level, the Pulangi River which is a major contributor to Mindanao’s irrigation system and hydro-electric energy, and the vast Liguasan Marsh which not only supplies a bounty of freshwater fish and organic fertilizer but considered as a possible source as well of natural gas. Power utility in the province comes from two energy sources - the NAPOCOR Agus Grid in Iligan transmitted through its Tacurong Substations and the Mindanao 1 Geothermal Power Plant at the foot of Mt. Apo in Ilomavis, Kidapawan City which produces 97 megawatts of electricity. Power distribution is handled by Cotabato Electric Cooperative, Inc. (COTELCO). The province has a 4,131.32-kilometre (2,567.08 mi) road network connecting the major centers to each other and the outlying barangays, and communication linkage through NDD-IDD, fax, cellular phone and the internet is available. President Benigno Aquino III signed the law dividing to new 3 legislative district of Cotabato on September 14, 2012. The representative shall continue to serve until next national election.